moves to the right along the real axis and into the third quadrant at s2. 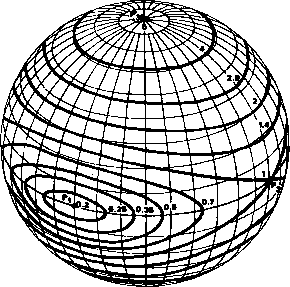 The real root at j = (-4,0) remains real, moving to the left along the axis (0°/180° asymptote). For a negative gain system, as K decreases from /l = 0, the real root at s = ( — 2,0) remains real, moving to the right along the real axis. 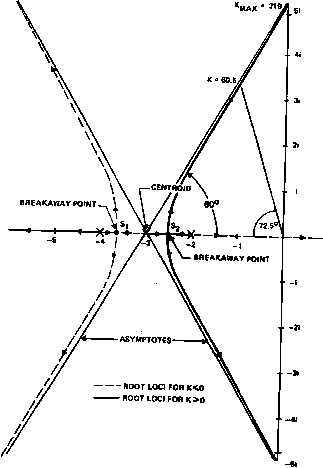 The roots at j=(-4,0) and 5=(-3,0) move to the breakaway point sB = sv where they become complex and approach the 120c/300° asymptote as K—> — oo.